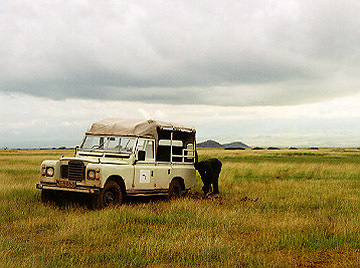 Tortilis Camp is a luxury tented camp in Amboseli National Park. 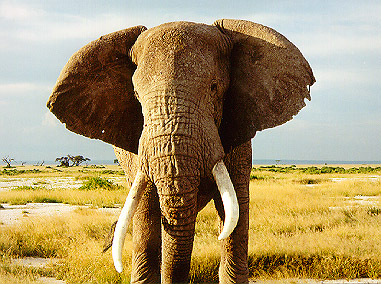 The park is famous for its elephants and for the spectacular views of Mount Kilimanjaro in nearby Tanzania. 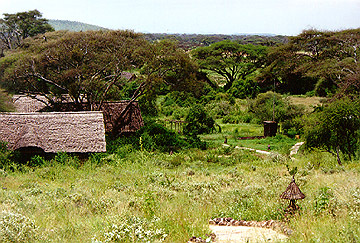 The camp is nestled in a grove of acacia. Like the other tented camps, each tent is in wood shelter and has electricity, bed and running water. I left the group and spent a couple of days by myself relaxing at Tortilis. The weather improved and the mountain was visible for the first time in several days. A view down the hill from the main lodge toward the tents. A nice view of snow capped Mt Kilimanjaro in the distance. 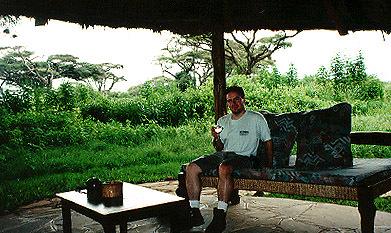 Relaxing with a glass of wine at my tent before the next game drive. 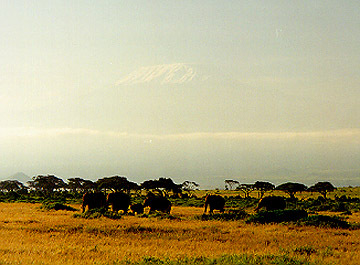 A distant herd of elephant with the faint Mt. 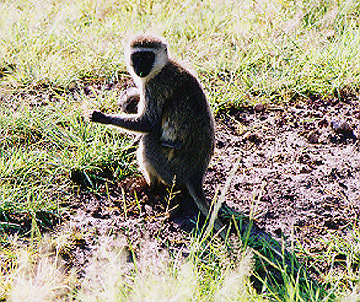 Kilimanjaro in the background. With my encouragement to get close to a huge flock of flamingos, we got stuck. My driver dug around the wheels and I dragged broken logs over to wedge under the wheels of the truck. We continued after a little work. 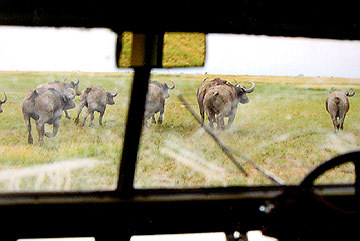 Waiting for the cape buffalo.